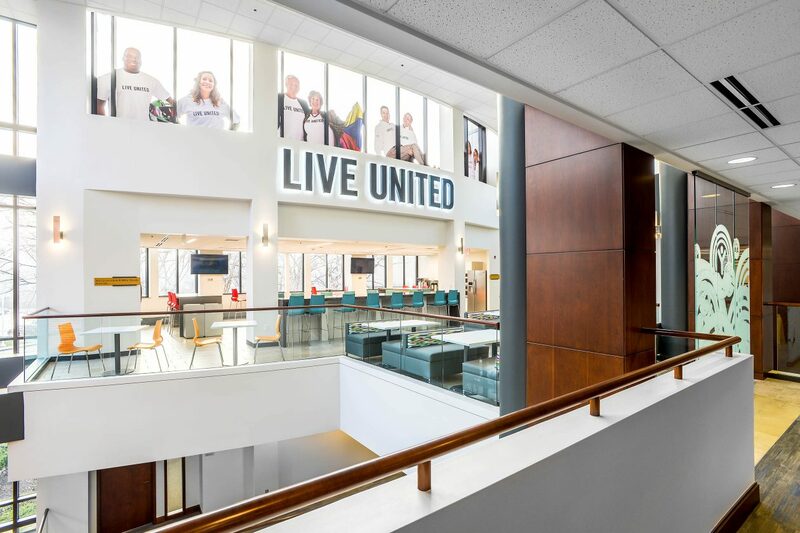 After developing a relationship with the building’s new Landlord, Capitol was engaged to work on the relocation of the United Way of Central Indiana. 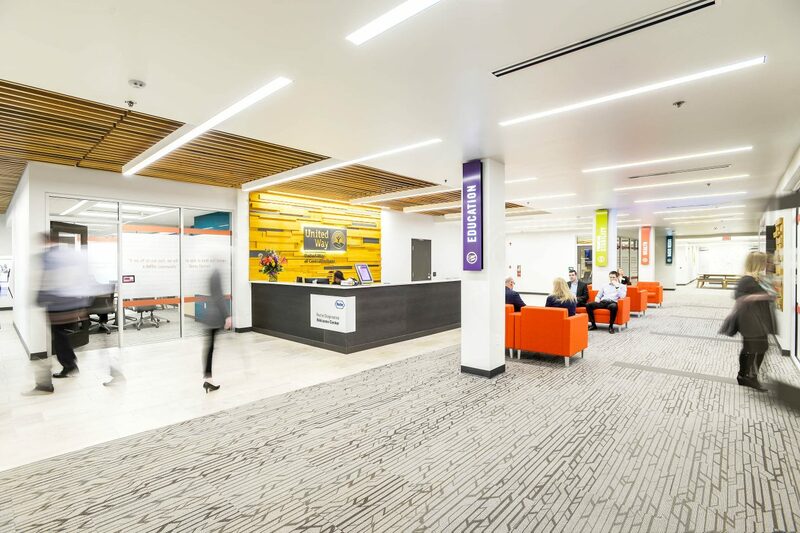 The new UWCI space was designed to invigorate the non-profit’s atmosphere, as well as create a venue where donors and volunteers were proud to be. 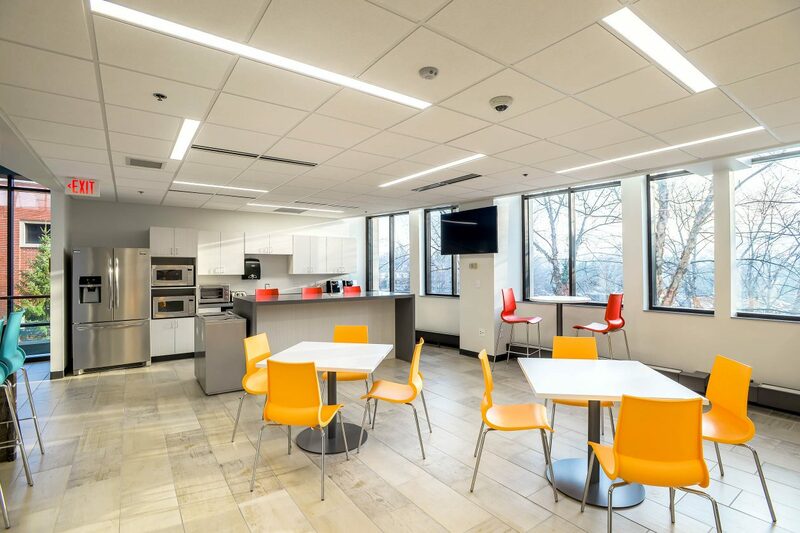 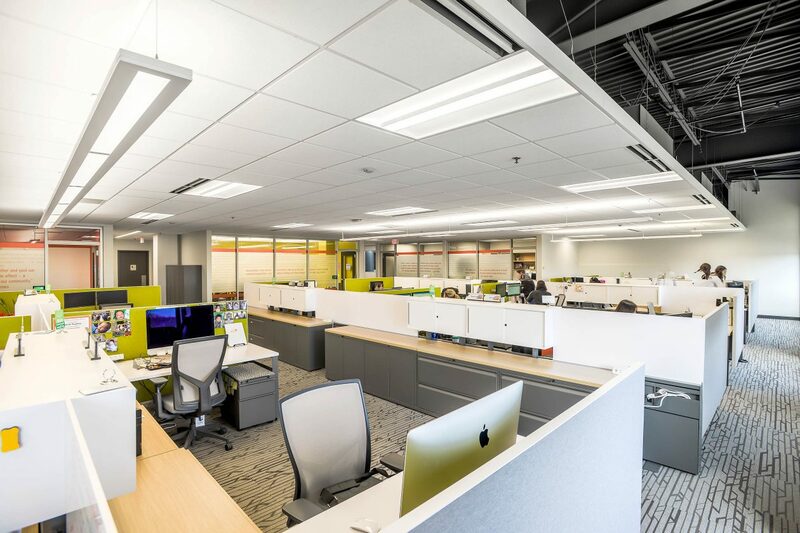 The newly remodeled, multi-level 30,000 square foot space offers a variety of work areas, large cafe and break rooms, in addition to a fresh lobby in the older downtown Indianapolis building. 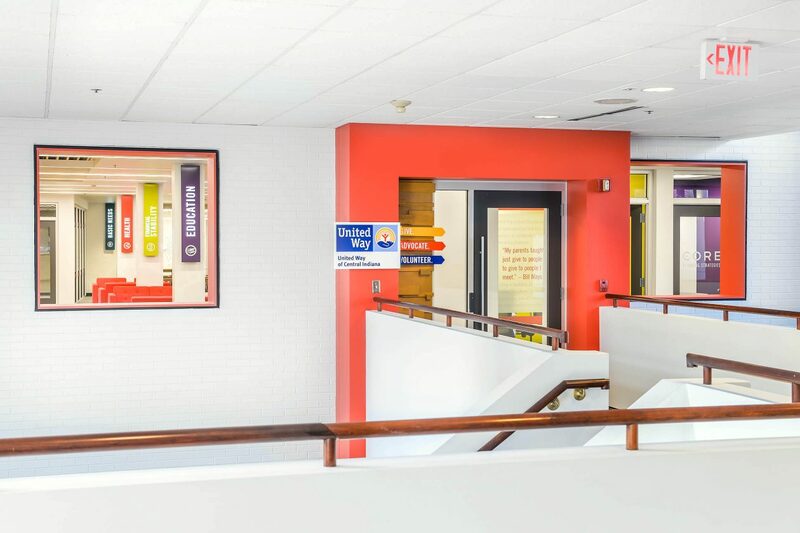 Local architect Rowland Design created the new look for UWCI.